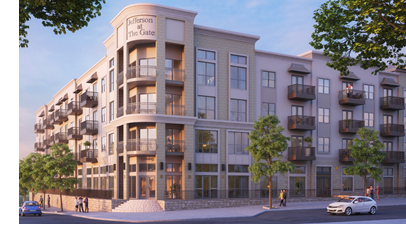 ​ FRISCO – Developer ​​JPI has broken ground on Jefferson at The Gate in North Texas. The 425-home Class A multifamily community is located on the northwest corner of the Dallas North Tollway and John Hickman Pkwy. within Frisco’s The Gate​ development. The master development is set to include more than 650,000 sf of office space, 130,000 sf of retail space and a hotel. ​​Need data? See Dallas-Fort Worth-Arlington Multifamily Market Research​.